An individual who wishes to report underpayment of taxes under the whistleblower law fills out Form 211 and sends it to the Whistleblower Office at the Internal Revenue Service. Form 211 asks for information about both the whistleblower making the report, the entity allegedly underpaying taxes, and the relationship, if any, between the whistleblower and the entity. It also asks for information about the misconduct. Whistleblowers are asked to describe the violation of the tax laws, the facts behind the situation, how they learned of the tax fraud and the amount the individual believes owes to the government. If Form 211 is complete, an initial determination of whether it involves more than $2 million is made. For claims involving unpaid taxes or tax fraud in the amount of less than $2 million, the information is forwarded to the Informant’s Claim Unit to be handled under Section 7623(a). Rewards under Section 7623(a) happen at the discretion of the IRS. Tips involving more than $2 million are assigned a claim file number and the whistleblower and/or representative is notified of it. If an examiner needs clarification about the submission or determines that a whistleblower may have additional information, they will debrief the whistleblower. At the conclusion of an investigation, the IRS Office completes a case file for processing and a claim file for the whistleblower award in conjunction with Form 11369. This form, the Confidential Evaluation Report on Claim for Reward, is sent to the IRS Whistleblower Office for determination of the award by the Director of the Whistleblower Office. Once the money owed to the IRS has been paid, the ICE unit will ensure that the whistleblower is filing his or her taxes and that taxes are not due. For additional details, visit the IRS website for information about the award determination proceeding or the reduced rate of withholding. The award is taxable income. The IRS will withhold tax from any payment to U.S. citizens and residents. If a portion of the reward will be paid to an attorney, the whistleblower can file for reduced income tax withholding to reflect his or her lesser tax obligation. Nonresident aliens who are paid for their IRS tip will also be subject to withholding unless they are exempted by a U.S. income tax treaty. If an award is denied, an appeal to the U.S. Tax Court is an option. Tips from certain individuals raise heightened scrutiny because of the nature of their work. The IRS does not use privileged information in its investigation of tax underpayments. A Subject Matter Expert or a taint team is used to evaluate the claim of privilege and shield investigators from the information. When an attorney or Certified Public Accountant provides information to the IRS, the IRS will return information that is protected by privilege to the whistleblower. There is no citizenship requirement for payment of an IRS whistleblower award. The IRS considers fighting international tax evasion a top priority. Estimates are that the United States loses $100 billion in revenue due to offshore tax evasion. Perhaps the largest payout from the IRS to a whistleblower to date involved secret offshore accounts held by Swiss UBS clients to avoid paying United States taxes. Federal, state and local government employees can not submit to the program. They are not eligible to receive a reward. The IRS, like many government agencies, has limited resources and a number of priorities. It is important to present a compelling case to the IRS in order to maximize the likelihood that the IRS decides to proceed to enforcement after it investigates your submission. Whistleblowers are not entitled to immunity from criminal prosecution for reporting tax fraud to the IRS. The mandatory whistleblower reward also doesn’t apply if you are convicted for your role in the tax fraud. The IRS treats whistleblowers who provide tips as confidential informants and protects their identity to the fullest extent permitted by the law. The United States Tax Court has even allowed a whistleblower to remain anonymous while appealing their award determination under § 7623. See Whistleblower 14106-10W v. Commissioner of Internal Revenue, 137 T.C. No. 15. However, the IRS warns that individuals may need to be identified as a witness and called in a judicial proceeding in certain circumstances. It is also the policy of the IRS not to confirm or deny the existence of a whistleblower in discovery requests where the individual is not listed as a witness. An adversarial discovery ruling might lead to disclosure of information potentially identifying the whistleblower. Privacy considerations impose special concerns on the interaction between the IRS and the whistleblower. Although the IRS has promised to improve communication with whistleblowers, tax whistleblowers may not know whether the IRS is investigating the entity regarding their tip. The IRS takes the privacy of individuals and entities submitting tax returns seriously. Tax returns are strictly confidential and the IRS will generally only discuss return information with the taxpayer and their tax professional. However, disclosure of tax return information to other individuals or entities is permitted in certain situations authorized by Section 6103. Section 6103(n) permits the IRS to disclose returns and return information to any person to the extent necessary to provide services for tax administration. In 2008, the Treasury Department issued Treasury Regulation § 301.6103(n)-2T to provide for the disclosure of tax information to a whistleblower when necessary to detect violations of the nation’s tax laws under § 6103(n). The IRS has the discretion to enter into a written agreement for services from the whistleblower, and their legal representative, to examine the return and return information of the investigated individual or entity. Whistleblowers and their legal representatives who receive information under a 6103(n) confidentiality agreement are subject to civil and criminal penalties for the use or disclosure of the return information. Upon its expiration in 2011, the Treasury Department reissued the regulation, now found in §301.6103(n)-2. 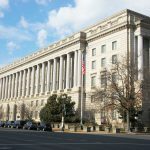 Advocates of an enhanced whistleblower program and stronger efforts to fight tax fraud have criticized the IRS for not using a 6103(n) confidentiality agreement with whistleblowers frequently enough. In their opinion, the IRS is not taking advantage of the inside information and expertise that a whistleblower has when it withholds return information from its confidential informant. Have you received a claim number? If you don’t have a claim number, then you haven’t successfully submitted your Form 211 to the IRS Whistleblower Office. You, or your representative, will need to contact the IRS to get a claim number or resubmit your tip to the whistleblower office. Your submission might be delayed if submitted information might be privileged or you had a significant role in the tax noncompliance. 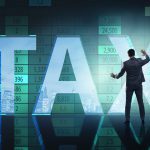 If you are an attorney or accountant, the IRS may be investigating your submission to determine whether the material you provided is privileged. That is especially true if you didn’t deal with the question of privilege in your submission. IRS investigation and enforcement actions can take between 6-7 years. Because of taxpayer privacy concerns, limited communication may happen with you. Although the IRS has committed itself to improving communication with whistleblowers, it is still be a long process. Your situation mirrors the story of one of Eric’s prior clients that successfully received a payout from the IRS under the new whistleblower program. The client, an accountant, submitted a tip to the IRS. Later, the client contacted Eric in order to follow up on the tip to the IRS. Eric ultimately represented the client for the remainder of the submission process through an award. Contact us so that we can review your tip and see if we can improve your submission. Our IRS Whistleblower attorneys are ready to assist you with the evaluation of your information and preparation of a submission demonstrating tax evasion. If you have any questions about the process, please visit our webpage on the IRS whistleblower program or call us at 1-800-590-4116.